Aria, Las Vegas Above: The Aria is the crown jewel of CityCenter, a massive construction project that nearly buckled when the recession hit Las Vegas. 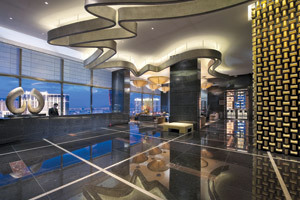 It nonetheless opened its doors in 2009 with 4,004 rooms and suites. At the time, the two-towered hotel was the ninth largest in the world. Mandarin, Las Vegas Above & Below: Both the Aria and the Mandarin Oriental are part of the $8.8 billion CityCenter, which the Wall Street Journal called “the largest privately funded construction project in U.S. history.” The project was meant to create an all-in-one space for hotels, residential condos, conventions, concerts, malls and casinos. 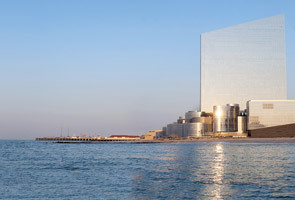 On March 25, Atlantic City’s $2.4 billion “Revel” casino — an attempt to bring some of the Vegas glitz to an outdated destination — declared bankruptcy after less than a year in business. The Revel’s failure is only the latest in a long string of hardships, not only for New Jersey’s struggling casino town, but for gambling destinations all over the United States — particularly Las Vegas. While the early-1990’s economic downturn largely bypassed both of these locations, the 2007 Great Recession left neither unscathed. 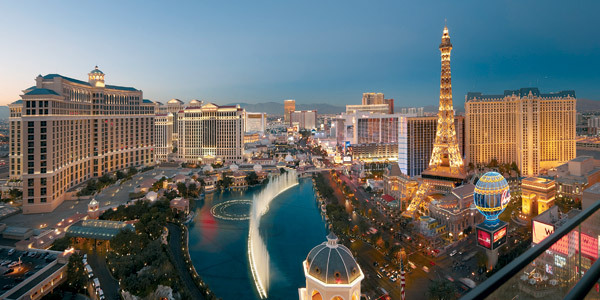 Las Vegas is an entire city founded on the ethos of “There’s no such thing as too much.” And it’s worked for them for years — when Steve Wynn built the $630 million Mirage Hotel in 1989, it both redefined the term “ostentatious” and was an unqualified success. But Sin City hit a wall with the 2007 recession and has been struggling to recover ever since. Conventions, once the lifeblood of the Strip, dropped off sharply as corporations chose less flamboyant destinations closer to home. Nevada led the nation in home foreclosures and unemployment. 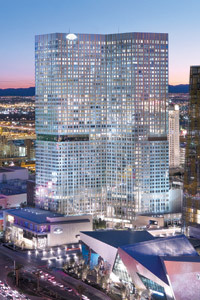 Even the ones that did manage to push through construction and make it to opening day — like the $3.9 billion hyper-glamorous Cosmopolitan of Las Vegas or the $8.8 billion all-in-one CityCenter, both of which opened in the depths of the recession — are having trouble finding a working business model. Across the country, our other gambling mecca is even worse off. In addition to the recent closing of the Revel, Atlantic City was also hard-hit by Hurricane Sandy, which damaged the iconic boardwalk and closed its casinos for five days. In addition, more states on the East Coast have begun to legalize gambling, causing a marked drop in Atlantic City’s patronage. 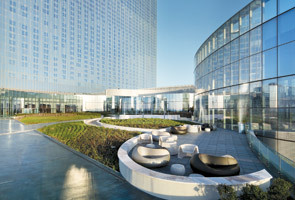 Revel, Atlantic City, Above: The Revel in Atlantic City, N.J., opened its doors on April 2, 2012. The 1,399-room resort cost $2.4 billion to build and filed for bankruptcy on Feb. 19 of this year. Revel, Atlantic City, Above: The Revel was also affected by Hurricane Sandy, which closed several Atlantic City casinos for up to five days and severely repressed tourism in the region. As the casinos get more desperate, they offer better terms to high-rollers, lowering the house advantage to entice the big gamblers to their tables. This can backfire with disastrous consequences. Don Johnson famously took advantage of these terms and cleared Atlantic City’s Tropicana of nearly $6 million in a single night — most of the casino’s monthly earnings. Atlantic City used to be a competitor for Vegas. In 2006, according to the American Gaming Association, it brought in $5.2 billion to Vegas’ $6.6 billion. 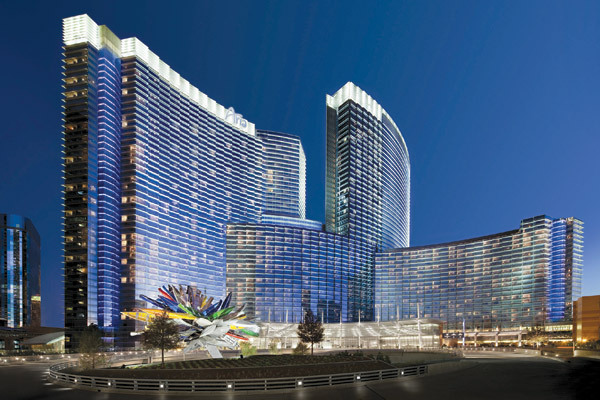 But while both places were hit hard by the recession, only Vegas’ numbers have been recovering to pre-recession levels; The Strip brought in $6.2 billion in 2012, compared to Atlantic City’s $3.1 billion. Las Vegas also has new projects breaking ground, like the Genting Group’s $2 billion “Resorts World Las Vegas,” expected to open in 2016. This project, the first major new construction since the recession, is seen by many as a herald of Vegas’s long-awaited rebound. By contrast, gambling revenue from New Jersey’s big resort town was passed by up-and-comer Pennsylvania for the first time this year. 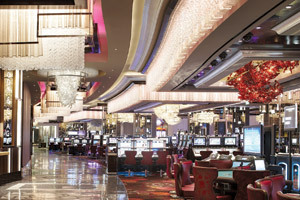 But the undisputed gambling capital of the world is now a little former colony called Macau, which passed Las Vegas in gambling revenue back in 2006 and is now home to most of Vegas’ big names, like Wynn and MGM. Concept art of Resorts World, Las Vegas, Above: The Asian-themed Resorts World Las Vegas is slated to break ground in 2014, and will add 3,500 rooms to Las Vegas’ already heavily saturated hotel inventory (in addition to a live panda habitat). The property is currently the graveyard for the Echelon, a half-completed project that abruptly stopped construction in 2008 when the economy crashed; the Malaysian-based Genting Group purchased the land for only $350 million.